Unfurl: When task links are posted in Slack, they'll be instantly enriched with details. Users will also have the ability to perform actions on the task. Go to the Integrations page in Team Settings. Then, click the Slack button. You’ll be redirected to Slack to grant ClickUp access. 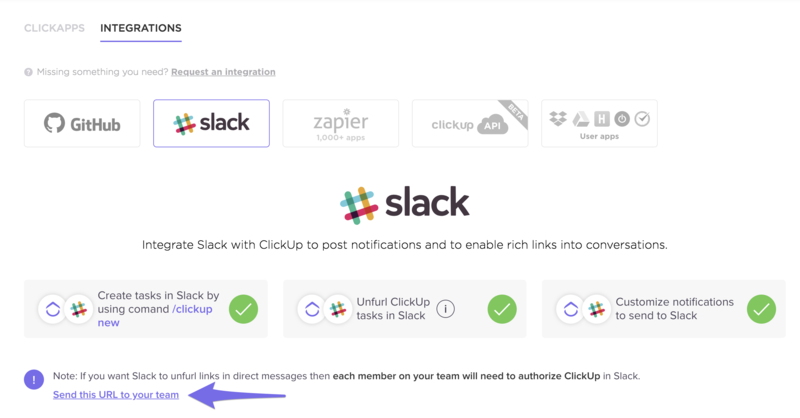 If you don't perform this step, ClickUp links will only be unfurled in public Slack channels. What Details and Actions are Available in Unfurl? 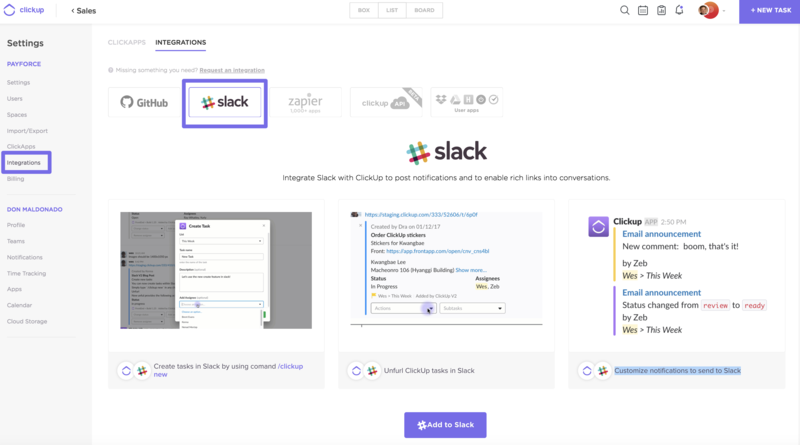 Check out this doc to learn about creating tasks and sending messages to tasks right from Slack!